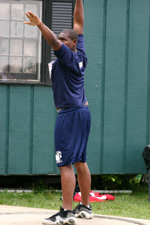 This year's 62nd edition of the Interstate Athletic Conference Track & Field Championships should produce a tight three team race with Episcopal under Damian Walsh, and St. Albans, with Doug Boswell back at the helm, on the strength of field event depth, slight favorites to end Georgetown Prep's two-year reign as champions under Montgomery County public school coaching legend Greg Dunston. The meet promises strong fields in a number of events, but the 400m, with two former champions and four competitors under 50 seconds, should be the most exciting final. Penn-bound Allante' Keels of Episcopal, last year's champion, will meet three juniors in Joseph Woiwode, Prep's 2007 champion, Alaska native Nick Letourneau of Prep, and the season's most consistent performer, Landon's Leland Pittman. Of note is the fact that Prep icon and IAC record-holder and All-American David Saunders coaches Woiwode and Letourneau. The 3200m will be another deep event as St. Albans will field three competitors under 10:00: Jamie Durling, last year's silver medalist; Tom Harrison and Alex Snowdon. Episcopal's Reid Nickle and Prep's Ramsey Chapin have run under 9:40. The Stanford signee Chapin may try for four golds as he will be defending his two-time titles in the 1600, 800 and the 4x800 relay. The St. Albans distance runners are coached by former Bulldog stars Jim Ehrenhaft and Joel Adams. The 100m features a third straight showdown between Prep's Brandon Tisdale (a West Point signee) and St. Albans' Seck Barry. The two finished 1-2 for the past two years. 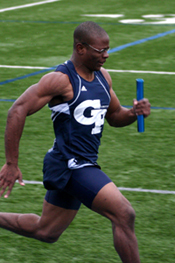 Justin Grant of Bullis, grandson of St. Albans coaching legend, Skip Grant, has had a fine sprint season. The 200m will feature Keels, Pittman and Tisdale. Keels and Tisdale finished in a dead-heat in 2008. No one should challenge Barry in either hurdle race as he has won both the 110 and 300 races the past two years and is the top independent school hurdler in the area. Ka'Quan Little of Bullis and Jelani Molock of St. Stephen's-St. Agnes could medal in both distances. In the 800m, defending champion Chapin, Nickle and Prep's Carl Dennis have all run 1:57 or better. Efosa Goubadia of St. Albans is the top jumper in the competition. He defends his high jump title and will compete in the long jump with Archie Odenyo of Episcopal, and last year's silver medalist, Letourneau. Odenyo and Goubadia are the best triple jumpers in the league. Episcopal throwers, coached by long-time master technician, Ed Rice, are the most accomplished with Will Reilly, Mike Jones and Lee Cowden threatening to sweep the discus competition. St. Albans' Glen Thomas has been the most consistent shot putter, but will face good competition from Reilly and Lester Batiste of Episcopal. 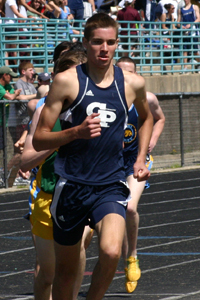 In the relays, Georgetown Prep should break the meet record in Friday's 4x800 with little competition. Saturday's 4x100 will come down to stick passes with Episcopal, Prep, St. Albans, St. Stephen's-St. Agnes and Bullis all with a reasonable chance to win. The 4x400 should come down to Episcopal and Prep who have the superior depth at 400m. Don't sleep on Lanodn's 4x400m...you'll be one of the many that are left suprised after Saturday! They won't sleep on Landon's 4x400, but yall better bring it because this articles written based on your past results. Looking at the seeds it's probably going to come down to STA vs Prep for 1st & 2nd & Landon will come in 3rd behind them.